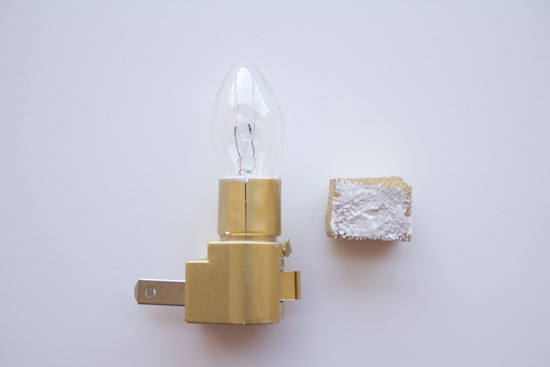 In a well-ventilated area, spray paint the nightlight and the foam gold. 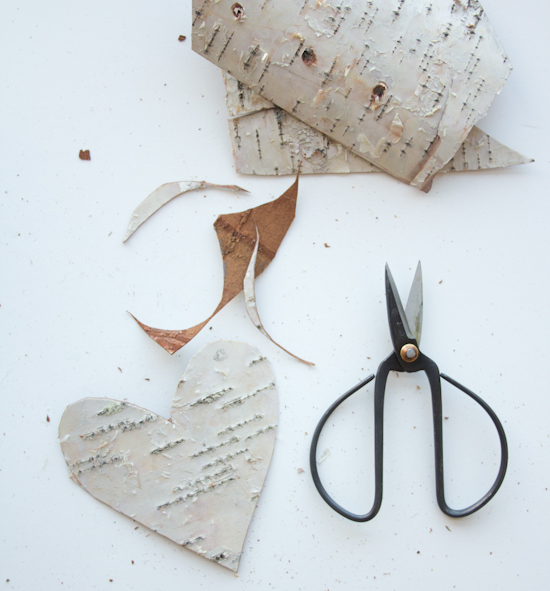 Draw a heart on a sheet of paper and cut it out. I chose to draw freehand because I wanted a natural look, but you can also print out shapes from your computer. 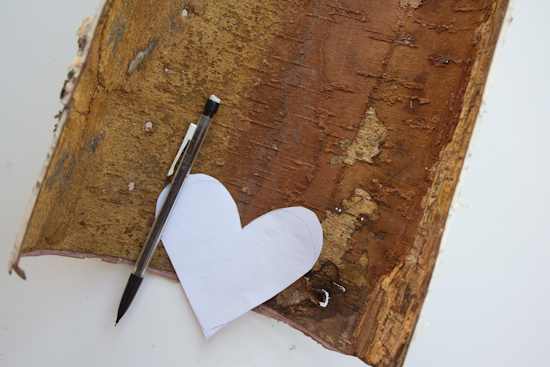 Trace the heart onto the back of the sheet of birch bark in a nice flat spot. 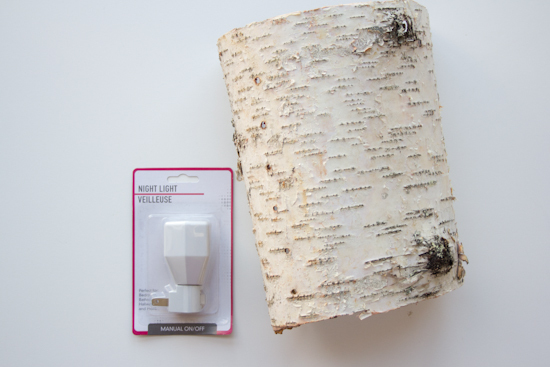 Carefully cut it out with your scissors, being careful not to snap or bend the bark. 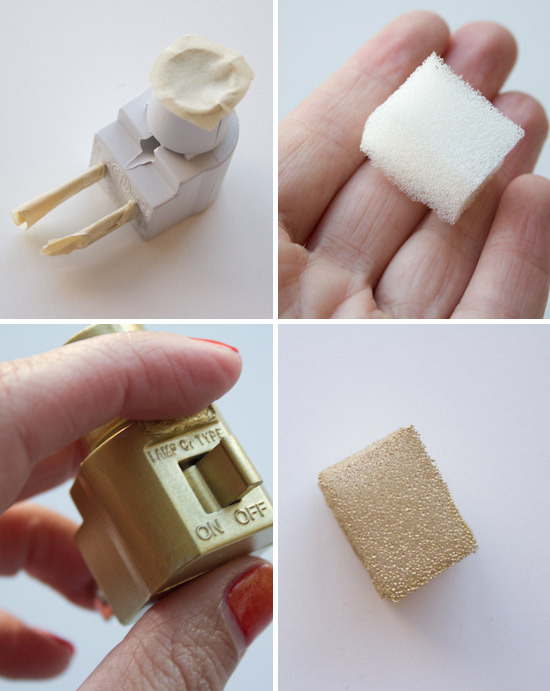 Spread a layer of adhesive on opposing sides of your foam cube and sandwich it between the heart and the nightlight. Use a clamp to hold the pieces together while they dry thoroughly. 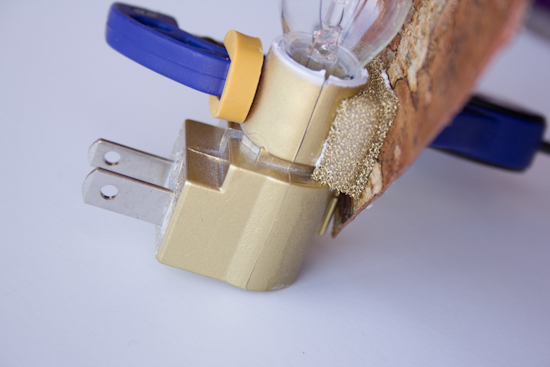 Once they're dry, remove the clamp and test out your light! 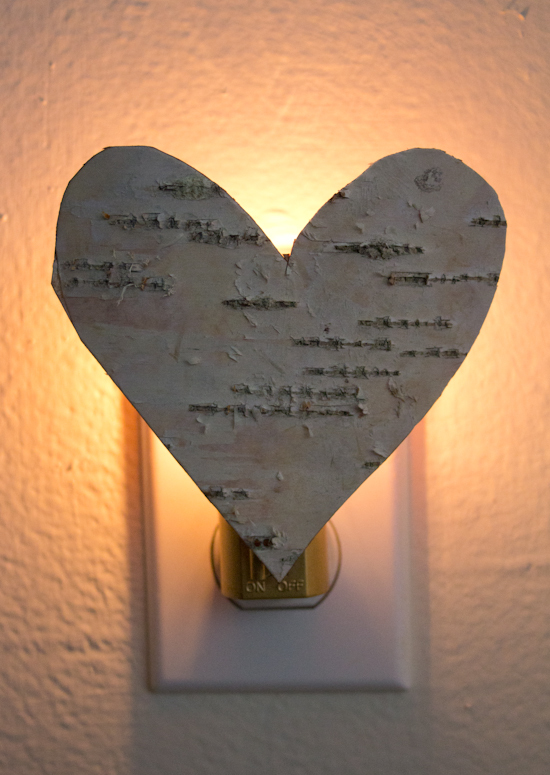 Put it in a spot where you need a little glowy love. Have fun! Chelsea Costa is an actor and blogger living in Los Angeles. 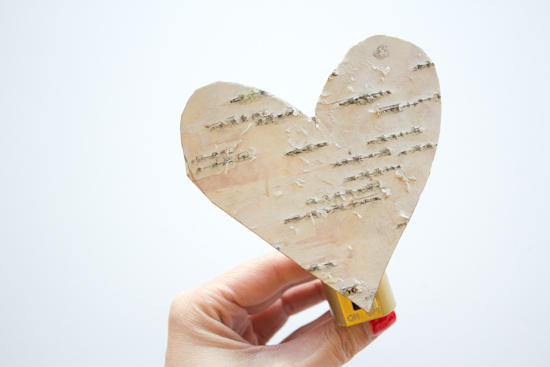 Her blog, Lovely Indeed, focuses on a DIY lifestyle and all of the happiness that comes along with it. Follow her on Facebook, Twitter, Pinterest, and Instagram. Interesting and so cute! I am planning to try it out. Habe gerade deinen Blog entdeckt! brilliant! 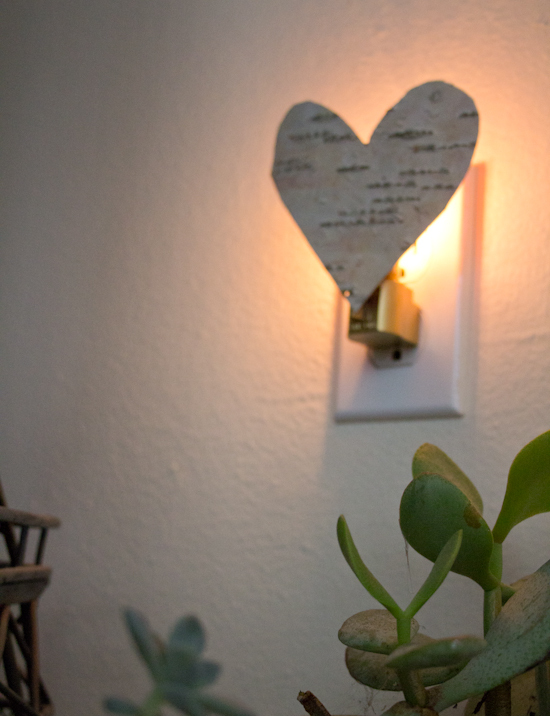 Love this idea for bringing a bit of nature into the the home. Great idea! 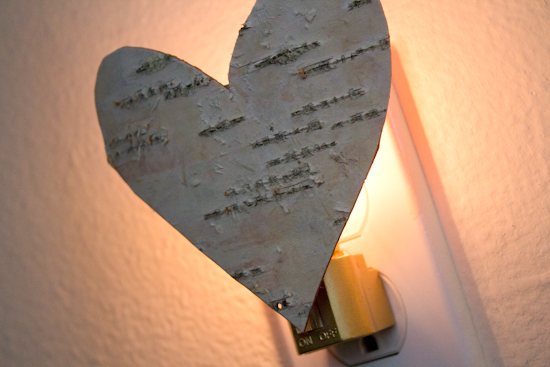 Love the Birch Bark & even I can be that crafty....I hope??? !